The first time you move house will most likely be when you move out of your parent’s. At this point in your life you probably won’t have much belongings to move, meaning you wouldn’t really need to hire a removal company. However the older you get the more you will have. When you move from one house to another, you will need to think about hiring a removal company. And unless you’re constantly moving from house to house, you won’t know what to look out for. There are many signs you should be on the lookout for that can help you decide if you should trust this company or not. What a person wears or how they appear will tell you a lot about them. 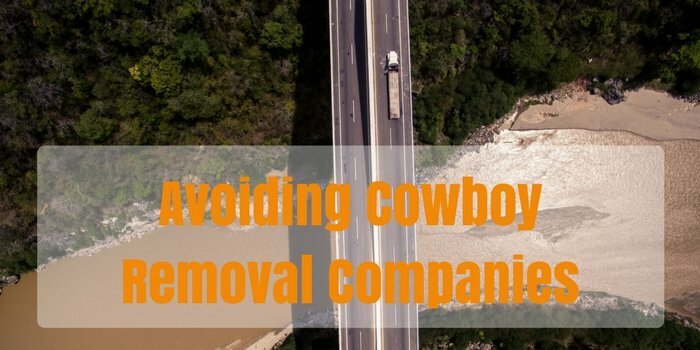 It’s extremely rare that you’ll find a removal service where their employees wear suits, most of the time they won’t be wearing the finest of clothes. This is understandable as they are lifting heavy items and won’t want to ruin good clothes. It’s not just what they’re wearing but also their general look and the overall appearance of their van. If both them and their vans look scruffy and untidy then how can you trust that they’ll look after your belongings when they can’t look after themselves? Or more importantly their van? If their van is dirty then there is a strong possibility that your belongings will also become dirty and possibly even damaged. So you’ve paid for a removal van and typically expect at least two people to show up to carry out the task, but then the van shows up and only one person steps out. This rings alarm bells. If a removal company only sends one person then it will be very difficult for them to be able to lift all of your belongings, especially the heavier ones. It is important when hiring a removal company that you specify and check that there will be at least two people turning up. You don’t want the unexpected surprise of finding out you have to do some of the heavy lifting yourself, especially as you’re paying for it! When it comes to booking a removal company, make sure they’ve been to your house before any prices or agreements have been made. You don’t want any surprises and neither do the removal company. You can also get a good idea about the kind of people that will be transporting your belongings. From this first meeting you can then decide if you feel comfortable with them moving your belongings. There are a whole host of different companies that allow you to make even the basic of websites for your business; it is surprising if a company doesn’t have one. Most people turn to the Internet to find out more about a company they are thinking of using anyway. A quick Google search will be able to tell you everything you need to know. Reading through reviews is a great way to find out if a company is worth trusting or not. Good reviews aren’t the only way to see what a company is like. Browsing through the bad reviews will also highlight some of their issues as well as giving you an idea of how they deal with negative feedback. Some could be minor issues that aren’t worth worrying about, and some can be complete deal breakers. Finding the perfect removal company is an important part of moving house. Allow yourself plenty of time to do your research and book a company. You’ll soon start to realise that, just like with many other things, the best companies will always be booked up, so it’s important that you are organised and book well in advance so you are not disappointed.